Chilling out in the evening on your rooftop terrace or watching the sun rise over the city skyline? Our Womens Tongari Jacket will keep you warm enough to enjoy moments like these to the full. The marled-look stretch fleece gives you full freedom of movement. And if you work up a sweat, it also dries fast and reduces unpleasant odours. 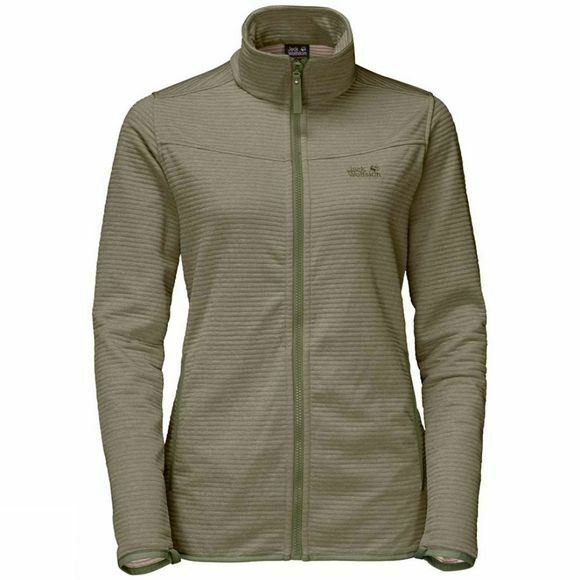 It comes with a system zip (length: REGULAR) which allows you to combine it with any compatible outer jacket.